India were edged out by Australia in a nail-biting encounter at Visakhapatnam on Sunday. Having set the visitors a moderate target of 127, the hosts failed to keep their cool in the last over as they contrived to give away 14 runs. 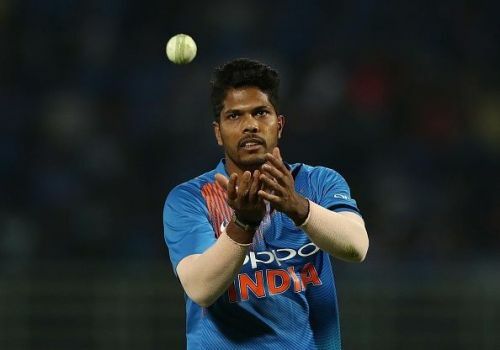 The Indian selectors named a near full-strength team for the two twenty-over games against the Aussies, with Kuldeep Yadav and Bhuvneshwar Kumar the only regulars missing out. Hence, India was expected to come through the pair of games unscathed. Yet, after 40 overs of patchy performance, they now find themselves playing catch up. Moreover, with the series being a two-match affair, the onus is now on India to turn things around at Bengaluru. Else, they run the risk of losing a T20I series at home for the first time since the 2016 ICC World T20. 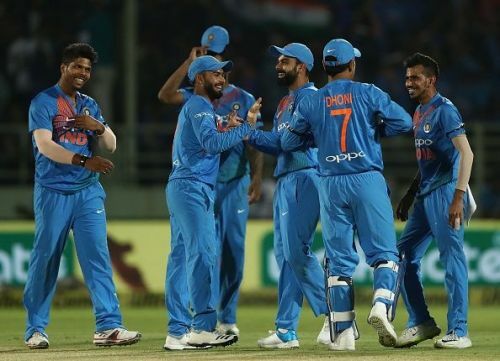 Thus, through the course of this article, we analyse three tweaks the Indian team could make to enhance their chances of winning come the do-or-die encounter on Wednesday. The Vidarbha fast bowler made a return to the Indian team for the 1st T20I. Several opined the move to be a good one as it accorded the pacer a chance to bowl himself into the World Cup reckoning. However, Umesh turned in an insipid performance on Sunday which culminated in a shocking last over. If Yadav is shown the door, his obvious replacement would be Siddarth Kaul. The fast bowler from Punjab has been around the India A circuit for a while and has given a good account of himself whenever called upon. Moreover, with India likely to field only a couple of front-line fast bowlers again, Kaul’s propensity to execute the yorker efficiently could come in handy. Though it would be extremely harsh to drop Yadav after a solitary bad game, overlooking Umesh in favour of Kaul isn’t that bad a move. After all, the hosts can try one more fast bowler to narrow down on their options. And if India really plans on experimenting with as many players as possible before the World Cup, the latter just has to play at Bengaluru.